Vail Resorts is a Colorado-based mountain resort company that boasts seven ski resorts in the U.S., as well as lodging and real estate businesses. The company is using consumer data to constantly engage, understand, and build relationships with its customers. Customers are continuously engaged with EpicMix through its chat functions, photo sharing, and gamification of the mountain experience with points, levels and pins. With a product that offers value to the customer, it returns insightful analytics. And so enters big data. EpicMix collects a large amount of user information, including length of time skiers spend on the mountainside, what times they prefer to ski, the number of runs they complete per ticket purchase, lift usage, and more. 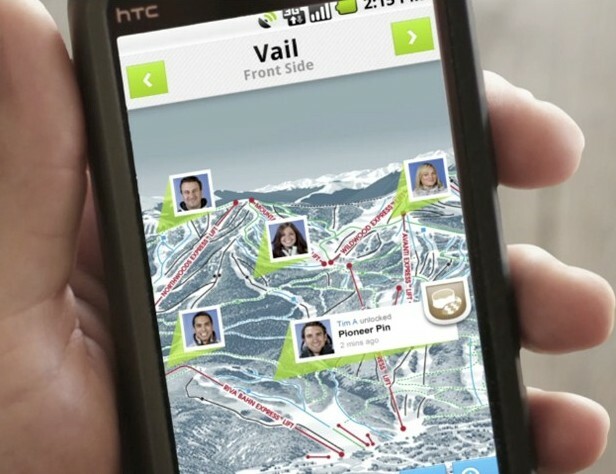 This data allows Vail Resorts to send personalized communications to their customers. It also provides Vail Resorts a way to measure the impact of various factors on skier traffic, such as weather or holidays. By collecting analysing and using customer-specific big data, Vail has the ability to optimize their product and service strategies, targeting the right customers at the right time. Contact Lux to learn how you can reach your target market. Why We Make Our People a Priority – Vote for Us for Small Business BC’s Best Employer Award 2018! From research to…. really, really ridiculously good looking? The most beautiful city to live. At a cost. Technological changes every marketer needs to know! A Morning with Sleep Country’s Christine Magee! Open Office Spaces: Love Them or Hate Them? REI and User Generated Content: Embrace It. Share It. Host It. Happy Birthday Carmen, Hanson and Krista! Each of us gravitated to our industry because we are inherently curious and motivated by a thirst to always be learning. We aren’t afraid to try new things in order to provide a better experience for our clients, for our respondents and for ourselves. We stand behind our ideas and recommendations, and we have the courage to explore new thinking. Underlying everything we do is a powerful belief that things can be better. It’s what enables us to continue to grow, both professionally and personally. We believe in standing by our word. We strive to always do what is right for our clients, partners and ourselves. Where does your road lead? We’d love to hear about your research needs or questions so that we can help you find the right path forward.